Yesterday, the Supreme Court ruled that the Defense of Marriage Act and California’s Prop 8 Amendment were unconstitutional. Already, proponents of marriage equality are saying that this will open the door for gay marriage in every state while opponents are either mourning the "loss of traditional marriage" or are vowing to fight on. Personally, I see marriage as a union between two consenting adults. I don’t care if those adults happen to be a man and a woman, a woman and a woman, or a man and a man. 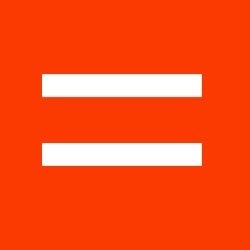 So long as they love each other, they should be able to wed and gain all of the rights that are inherent in marriage. These include (but aren’t limited to) filing taxes jointly, hospital visitation rights, child custody, and automatic inheritance when one partner passes away. Years back, when I first heard of the marriage equality movement, I thought long and hard about how I felt. I listened to arguments on both sides and came to a a few realizations. One big argument I keep hearing is about how marriage is "sacred" and how we can’t redefine marriage because God has set the rules. It seems to me that this touches upon two issues: The Two Kinds of Marriage and the Separation Between Church and State. First of all, marriage actually refers to two very different institutions. There is religious marriage where a couple has a priest, rabbi, or other clergy member declare them as married according to the customs of the clergy’s religion. Then, there’s the government definition of marriage which involves an application for and issuance of a marriage license form. The problem comes into play when people confuse the two. When you talk about "God sanctified" marriages, you are talking about religious marriages, not government marriage. The government isn’t allowed (thanks to the Separation of Church and State) to limit people to religious marriage. If it did, then how would it decide which religions would be acceptable and which weren’t? Would atheists be allowed to marry or would they be forced to join a religious group first? Would any religious group qualify or would only "approved" religions be allowed? What "marriage equality" really refers to is the government definition of marriage. This definition is essentially a social contract. Two individuals of consenting age decide to join into a contractual arrangement to share societal responsibilities such as finances, health care, and government services. Under this model, there is no reason to artificially limit the contract rules to only cover man-woman contracts. The truth, though, is that plenty of marriages are formed that don’t result in children. Couples can decide not to have children or might try for years with no success. In addition, Elderly folk can marry without producing a child. If a women is single after menopause, does that mean she can never again marry? If a man has a vasectomy, can he not wed until he has it reversed? If a couple marries and doesn’t produce a child after a few years, is their marriage invalidated? What about the argument that marriage has always been between one man and one woman and thus it should always remain so? Unfortunately for those using this argument, it isn’t true. Marriage has changed drastically over the years. A few centuries back, marriage was a pre-arranged affair whose primary purpose was to secure property rights. Even the woman to be married were regarded as property within the marriage context. Marriage took on many forms as the current concept of marrying for love took shape. Fifty years ago, men and women weren’t allowed to be married if the color of their skin or their ancestry was different. At the time, a great debate was held with one side contending that people should marry who they want and the other claiming that tradition dictated a separation. So, with these Supreme Court rulings, what is the future of marriage? Some marriage equality proponents are proclaiming that this means all states will need to legalize gay marriage. Meanwhile, those on the other side are declaring that this will destroy marriage. Honestly, I don’t believe either. The Supreme Court stopped short of declaring marriage equality a right and thus striking down all state laws banning gay marriage. Instead, they held that the states have the right to set the rules for marriage, provided said rules aren’t discriminatory. Once the state sets the rules, the federal government can’t deny people married according to said rules. The next battle will be over a) whether laws banning gay marriage are or aren’t discriminatory, b) whether states can pick and choose which out-of-state marriages it accepts, and c) what happens to federal benefits if someone is married in one state and then moves to a state that doesn’t recognize the marriage. As for marriage being destroyed, I’m reminded of this PVPOnline comic. Neither my marriage nor anyone else’s will be negatively impacted at all because different couples can marry just like marriage wasn’t destroyed when men and women of different racial backgrounds were able to be married. While the momentum is definitely on the side of the marriage equality proponents, the fight will still go on. Advances will be made and setbacks will be encountered. I firmly believe, though, that our children’s children look back on this era and wonder just why marriage equality was so controversial. They will merely accept it as a fact of life just as we accept the fact that a woman gets a say in who she marries and shouldn’t be forced into marriage because her parents told her to. Well said, Sir!!! Love is love is love. The world does better with more of it, and has tragic consequences when it is lacking.